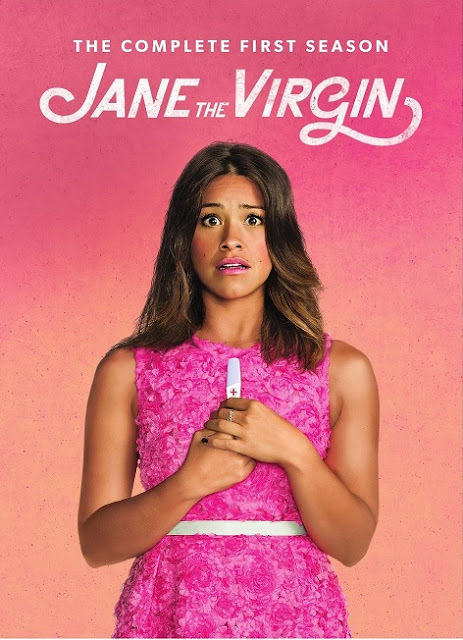 Jane Villanueva (Gina Rodriguez) is a young woman in the Miami area who is very close to her family. She lives with her mother Xiomara (Andrea Navedo) and Grandmother Alba (Ivonne Coll). Xiomara was a teenage mother. From an early age Alba talked to Jane about the importance of remaining a virgin until marriage. Jane listened and remained abstinent. As the series begins Jane has a serious boyfriend Michael (Brett Dier) and she is about to finish school. Jane works hard and studies diligently. She goes to an appointment for a pap smear and falls asleep on the table waiting for the doctor. Unfortunately for Jane, her doctor is in the middle of a personal crisis and she mixes up her patients. The doctor asks Jane if she is ready for insemination, at which point Jane wakes up and says yes, not realizing what the doctor actually asked her. In the next room, the doctor was supposed to inseminate her sister in law using her brother’s sample. The doctor realizes her mistake and plays the odds that the pregnancy won’t take. Of course, it does take and Jane the Virgin learns that she is pregnant. 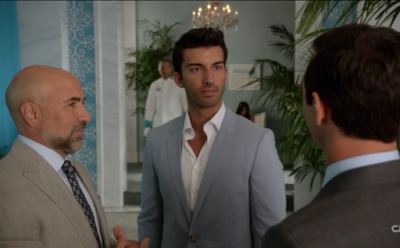 The father of the baby Rafael Solano (Justin Baldoni) runs the hotel Jane works at and happens to be the guy with whom she shared an amazing kiss 5 years earlier. Of course, Rafael never called and Jane was heartbroken. Jane has to decide whether or not she will keep the baby or if she will allow Rafael and his wife Petra (Yael Grobglas) to raise the baby. It is a difficult decision complicated by the fact that Rafael recently had cancer and that one sample was his only chance to have a child. Jane and her family are big fans of telenovelas. The star of their favorite show is Rogelio de la Vega (Jaime Camil). Rogelio is a stranger to Jane but will soon become a member of the family. The show is written like a telenovela itself with major plot twists and new discoveries with every episode. Thankfully there is narration to recap the previous episode. It gets so complicated that eventually the narrator does say he better stop the recap before his recap needs a recap. It’s a good kind of complicated and it’s a fun kind of crazy that you just have to go with. The characters are sweet and endearing, especially Jane. There are attempted and successful murders, a crime ring, and relationships beginning and ending some with extreme drama. The show is a lot of fun and if you aren’t hooked a few episodes into it you probably won’t stay on board for the ride. My three paragraph plot summary really only takes you through the first episode. Beyond that you should enjoy and let the details unfold for you. The DVD comes with an insert summarizing the twenty two episodes, which they call chapters but even those brief descriptions contain spoilers so I will not include them or give a rundown of each chapter in my review. 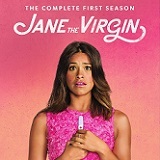 "Jane the Virgin" is presented in widescreen “matted” format preserving the original television aspect ratio enhanced for widescreen TVs. The show is overall light and colorful and includes magical elements like glowing hearts. The Villanueva house offers the most texture and depth of color. With Jane’s grandmother speaking almost only Spanish, the subtitles are important and are never overtaken by the background. This is a very good video presentation considering that it’s only DVD quality. The Dolby Digital English 5.1 sound supports the dialogue, the drama and the music well. 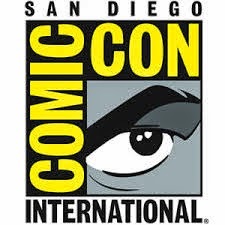 It is a dialogue driven show and you’ll never have a problem hearing the spoken word and won’t have to adjust your volume when tempers flare and people start to yell or when they are having quieter moments. Although the list of special features isn’t long, what they do have is very enjoyable. The two featurettes are not repetitive and give just enough information on the cast and crew to make you love the show even more. 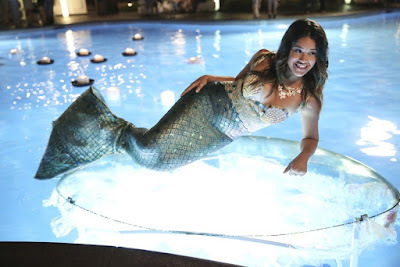 Jane the Virgin: Immaculate Creation (15:33) – The addition of the Latin lover narrator, color, magical elements, graphics and of course the cast which all came together to make the show work. Getting to Know the Cast of Jane the Virgin (7:09) – Each cast member is asked the same question. Questions include who has the most energy, naps the most, and sings the most and whether the cast is team Michael or Rafael. Gag Reel (6:09) – We see the goofy side of the cast as they forget and flub their lines in both English and Spanish and even Gina Rodriguez’s accidental spanx reveal is cute. Unaired scenes from Chapters 5, 9, 15, 18, 21 and 22. Watching the special features we learn that "Jane the Virgin" is actually based on a Venezuelan telenovela. It includes the over the top plot twists like your classic telenovela but is much more. The show is perfectly cast. Even the “bad guys” are hard to hate, most of the time. Gina Rodriguez definitely deserved her Golden Globe. This is a show I highly enjoyed and I will certainly be watching the premiere on Monday. As you’d expect, the season ended with a big cliffhanger and I can’t wait to find out what happens next.